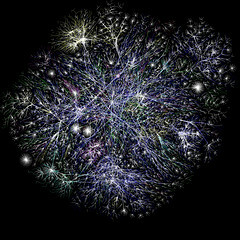 DEVELOPMENT And PROGRAMACION OF SYSTEMS OF ACCESS To DATABASES OF INTERNET. PLANIFICACION,DESIGN And ADMINISTRACION OF WEBSITES. MIGRACION OF APPLICATIONS To SURROUNDINGS IN INTERNET. TOOLS OF DEVELOPMENT. DESIGN And PROGRAMACION OF MULTIMEDIA ELEMENTS IN INTERNET. This asignatura is oriented to form computer engineers that can satisfy the big current demand (and future) of skilled professionals in subjects related with Internet (including intranet and extranet). Likewise, it pretends capacitar to the students so that they can analyse, schedule and program applications customer/server based in web. Unit 0: Presentation and aims of the asignatura. Unit 2: Internet, intranet and extranet. Unit 3: HTML and CSS. Unit 5: basic Programming of server. Unit 6: Activate Server Pages (ASP). Along the course will take place several practical sessions directed with the end to settle some knowledges of base. The rest of the sessions will be of free work to realise the practice that will give to know to the start of the course and will deliver at the end of the cuatrimestre. * Configuration of Microsoft Internet Information Server. * Basic programming of a page ASP/PHP. * Access to a database from an ASP/PHP. * Maintenance of sessions with ASP/PHP. * Programming of a CGI. Basic questionnaire on "Programming in Internet"
Edition: Madrid : Prentice Hall, cop.2001. Edition: Madrid : Anaya Multimedia, 2005. Internet & World Wide Web How to Program, 1/and. Author(is): Harvey M. Deitel, Paul J. Deitel, T. R. Grandson. Edition: Madrid : Anaya Multimedia, 1999. Edition: Madrid : Anaya Multimedia, 2000. Edition: Saint Vicente of the Raspeig : Publishing University Club, 2002. Edition: Saint Vicente [of the Raspeig] : Publishing University Club, D. L. 2002. Programming of servers web with CGI, SSI and IDC. Edition: Alicante : Publishing University Club, 2001. Programming in Internet: customers web. Edition: Madrid : Osborne McGraw-Hill, 1999.